Project Platypus was established in 1994 when it became obvious that the huge land and water degradation problems in the area were too extensive to be managed by individual landholders and Landcare groups. 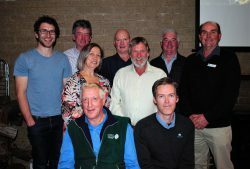 Project Platypus acts as an umbrella organisation for the eleven Landcare groups of the Upper Wimmera Catchment to deliver large scale projects. Project Platypus is a non-for-profit community group governed by a Board comprising representatives of the Upper Wimmera Landcare groups and managed by a small team of staff based in Stawell, Victoria. To support and empower the community to improve the environmental health of the Upper Wimmera Catchment while maintaining and improving productivity. Project Platypus is a community based Landcare network working in the Upper Wimmera Catchment supporting Landcare groups and landholders across the region to improve catchment health. We undertake a substantial amount of works including landcare support, revegetation, protection of remnant vegetation, erosion control works, invasive plant and animal control, project management, hosting environmental and sustainable agriculture events and other environmental services. Our office is located at 11a Ararat Road, Stawell Victoria 3380. The Project Platypus Board is the heart of the organisation. Whilst the manager has responsibility for the day to day operations, the Board members guide the organisation’s activities and provide strategic direction and priorities. The Board is made up of Landcare Group representatives with a range of experience, skills and local knowledge. There are five sub-committees with Project Platypus made up of Project Platypus staff, agency staff and community representatives who’s role is to contribute to the planning, implementation and evaluation of projects.